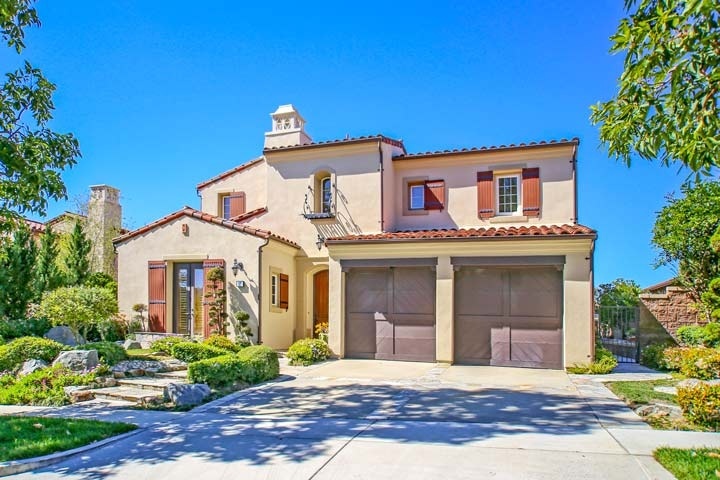 Bontanica homes are located in the Turtle Ridge area of Irvine, California. The Bontanica community was built between 2002 to 2006 and features three to six bedroom single family homes that range in size from 2,240 to 4,180 square feet. Bontanica homes are located in the gated community of the Summit at Turtle Ridge and often feature Tuscan inspired architecture as pictured above. Some of the features found in these homes include gourmet kitchens with granite counters, living room fireplace, arched doorways, large master baths with jacuzzi soaking tub and great city light views. Below are the current Bontanica homes for sale and for lease in Irvine. Please contact us at 1-888-990-7111 with any questions about this community and any of the homes listed for sale here.